In This powerful 25 min Awakening Session, Tobias Lars BS, MBA – will guide you through this activating, simple method for truly Awakening the Inner Body – our Etheric Body, our Energy Body, our ‘Heavenly Body’. Easy to PLAY on your computer. A onetime $49.95 will give you UNLIMITED ACCESS to this Guided Recording of Tobias Lars guiding you through the Inner Body Awakening – one of the MOST POWERFUL PROCESSES for direct personal experience of a real SPIRITUAL AWAKENING available today. This Ancient & fundamental method helps us to simply and powerfully have a real direct experience of sensing & connecting to our own ‘Spiritual Essence’, our Souls, our Inner Energy Bodies inhabiting our physical bodies. This is an enjoyable, easy and comforting method for becoming more aware of our Inner Body. The Inner Body also known as the Etheric Body is an exact duplicate of our ideal physical body. This Etheric Body is what leaves our physical bodies when we have an out of body experience or pass on to our next existence. The Inner Body is what creates, feeds, and heals our physical bodies. Contacting and truly feeling and inhabiting this Inner Body assists in us being comfortable in and being able to relax & enjoy our bodies. People have reported whole new relationships and healings with their bodies by doing just this simple method. Our bodies are miracle healing machines. How do the cells know where to stop growing when healing a wound or a cut? How can our bodies so perfectly rebuild themselves? There is an ‘Inner Body’ an energy etheric blueprint that the physical cells are being directed by when healing or replacing cells. Cancer is an obvious time when the ‘blueprint’ is no longer instructing the cells when to stop growing and they are replicating out of order. 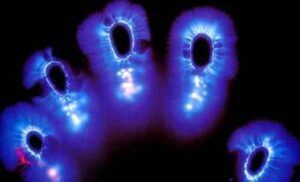 This ‘Etheric Body’ is the body we astral travel in when we have ‘out of body experiences’. It is also the ‘perfected body’ that leaves us at death. It’s the ageless beautiful ideal body that we have in ‘heaven’. Wow, sounds good doesn’t it? Why can’t we have this body here and now? WE CAN…if we actively connect and contact our Inner body we can assist and co-operate with our bodies at a much higher level. Most of us today simply allow the body to do what it does unconsciously, outside of our awareness. The body performs – digestion, cell repair, healing, cleaning, lymphatic system circulation, heart beat, etc. without us being consciously aware of it. But there are Yogi’s that can stop their hearts, cease their breathing, do ‘miraculous’ healings and they are in conscious awareness of their bodies’ inner functions. 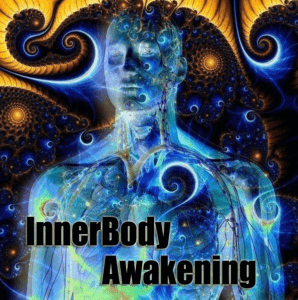 The Inner Body Awakening method helps us to become more in touch with our inner bodies. It will keep us healthier, looking and feeling younger, and it feels really good. But careful because if this gets around we’ll start putting the cosmetics companies out of business! If you have a purchased Inner Body Awakening, please log in. If not, and you are ready to order – just click ‘Add to Cart’ complete the ordering process and you’ll get access. Good morning Tobias! I’m glad youtube’s algorithms suggested your page to me because I resonate with so much with what you’re saying. Thank you for sharing. I can only afford one healing tool right now, should I start with the”inner-body awakening” first or the “alchemy energy process”? Inner Body Awakening is good to start with. If you’ve already done this process in some form it’s fine to start with any of the processes. Yes, No problem on phones, tablets, iphones, androids, laptops, pads etc. I am wondering if this course would work on my iPhone? I do not have a computer at the moment and I would like to listen to the course at the beach from time to time. Thank you for your work, much appreciated everyone! YES…they work fine on iphones. WEBCASTS are Sundays at 10:30 am Calif time. But many people around the world listen at their convenience – no need to attend live. You can also both attend live and listen again later to the recording – many do that as well. I fractured the cuboid bone in my right foot two days ago. I know it was broken because I’ve broken a couple bones before and the realization doesn’t occur until about an hour after it happens – then you get the instantaneous excruciating pain throughout your whole body that makes you want to throw up. I’ve never had that kind of pain from any other injury. But this time, I’m not going to the ER and subjecting myself to all that entails. I’m using the inner body awakening to visualize light filling in that fracture – because bones only appear to be solid. I’m also using binaural sounds, the healing blue Buddha mantra, prayer, ice, elevation, rest. But the inner body awakening keeps me calm and helps with the pain and it is working; it is a vehicle to enable us to heal ourselves. Thank you for making this available, Tobias. Thank you, thank you, thank you. Er det muligt at få studenter rabat på din innerbodyawakening. Jeg kan rigtig god lide de ting du underviser, men jeg har desværre ikke mange penge. Stort tak for de ting du gør. What makes this any different from any other meditative energy work i might already be doing? What makes it better than say.. a deeply relaxing and centering yoga practice for example? I’m not trying to be obtuse….it’s just quite a lot of money for me if i’m not sure exactly what make this practice unique…? (you’ll have to feel it through…ask Spirit if it’s for you) if you feel hesitant…don’t get it. Worst case if you do…we offer a 1 week refund policy. “See, it is as yoga nidra but not really… It is actually a big difference. When my aunty got sick, that was first I had on my mind. I knew it could help her. If I didn’t find your Inner Body Awakening, I would make it myself a some simple version of yoga nidra for her. I told you, I discovered your IBA in the best moment ever. I’ll never forget her reaction to it. Ultimately your IBA can lead to powers, but won’t push you into it as Nidra do. If I can explain that right. As Nidra is sort of invasive for not ready minds. That’s the difference. Your IBA is giving the same benefits, but without potential casualties. And I support extended version. Yes, please! Your approach is new. You’re removing unnecessary mysticism over it, which probably made sense in old times, but now it’s just stupid… You have the way to renew the old. Yes, nothing’s new on this world until someone like you make something old new, because we’re changing, evolving,.. thanks God! The same with spirituality and old teachings. We need a new approach and that’s what you do. So, I wouldn’t put down your Inner Body Awakening below Nidra. It is just different approach. Way different actually. I love Nidra. It saved me. I do appreciate it. But I would never recommend it to people until they’re guided to it. And IBA, please God, yes, guide everyone to find it! It is a gift. After engaging in the Inner Body Awakening meditation for the first time I must say that I feel so much cleaner and more optimistic than usual. I have a Chakra Healing book and for a long time Chakra work would sometimes leave me feeling sick and slimy (I’d do a 3rd eye one and get a headache or do a Crown one and my mind would race even faster!) but for the last month or so I have definitely noticed a shift in calming and increased energies. However sometimes I can get swept away by certain energies if I do too much and due to circumstances at the moment I usually wake up in the middle of the night ungrounded, surrounded by distractions and madness and about as far away from the present moment as one can get! This meditation is a blessing. It is certainly powerful alright. The first time I fell asleep halfway through and after the 2nd time I fell asleep for about 4 hours. Had some lovely dreams too. It allowed me to feel more grounded instantly. My breathing automatically changed, my hands, feet and body got very warm but it was pleasant and I can only describe the feeling afterwards as light and uplifting. Even now 5 hours after! Doing the meditation itself is a joy because it is guided you don’t have to do anything but listen and things start to happen. Although I would guard against expecting too much right away. I’ve been practicing feeling my heart and inner energy for a while now. Nothing as quick and impactful as this however but you still may need to do it a few times first in order to pick it up. It took me 4 hours to log in to my online internet bank and then to download an mp3 player suitable for my computer (I’m pretty crap when it comes to technology but wow, it is trying sometimes. Certainly a hook. My bank kept saying they’d ring me to give me a 4 digit codefor my new password and then kept logging me out!? After about 1/2 an hour they finally rung me but my new phone wouldn’t answer it for some reason but luckily I managed to get it on the 2nd ring) but it was worth it. I took a risk and it’s paid off. At last a simple, effective meditation to start the day. It is a habit I will make sure to and even look forward to keeping. The Inner Body Awakening is actually working for me! Best money I’ve ever spent. I have Fibromyalgia and fatigue is a major issue for me. After a few days of lying down and listening to this, I saw a big increase in energy. During the meditation, I have experienced unusual feelings of being “uplifted”, “cleaned” or “elevated”. I can’t really describe it. It’s subtle but powerful. I hope it continues to work. Thanks Tobias. Bless you brother, your conscious is sought after greatly, ty for bringing us to the door of our own minds instead. I have to say, I was little upset after finding out how some people can get all this so wrong. I would like to say few words to all those people who’s coming here, buying these techniques or sessions with Tobias, and expecting a miracle FROM HIM, some sort of magic to happen… And then leaving disappointed… It does not work that way. Magic do happen but magic is IN YOU! Tobias is providing the tools, that’s all. The rest is your part, your work to be done. And magic do happen. I gave the Inner body awakening to a person who doesn’t even know who Tobias is. I explained to her how to use it and how to feel it and she did it. She was able to find that magic in her and she healed herself from disease no one had hopes she’ll survive. She instinctively allowed her magic to happen by using Tobias’s technique. It’s possible. But you do have to allow to come. Otherwise it won’t work. Instead, I would recommend to allow your own magic. He gave you the tools, he taught you how to use it, now just do your part. Work on it by finding the love in your heart and filling your cup with that love. And that’s exact place when magic happens. Those tools, techniques he gave us are nothing new. He just made them so ingeniously simple so it’s approachable even to those people who have no any knowledge about spirituality, meditation, higher self, … Just follow and allow. So simple. And I just wish for more people to reach this and find their own power, their own magic they always had… It is possible.